CounterHack began out of frustration with current cybersecurity services for business. Although offerings have matured over the last decade, offerings and solutions for business are still completely lacking a clear and simple approach based on people, data and processes to understand the level of real risks facing business. 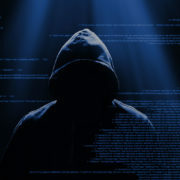 Based on the gap and need in the market CounterHack formed a team of liked minded people with an extensive background in cybersecurity and technology. At CounterHack, we give our people the space to problem-solve in innovative ways. In short our culture is relaxed and casual but fast-paced and professional and central to this is our people. We’re made up of ethical hackers, Cybersecurity consultants, adventurers and thought leaders; but together we are a team, working towards a common goal. Innovation, diversity and exceptional service is what we strive for each and every day!